To create a beautiful scene using Laser Etching from J.H. Wagner & Sons, select a background photograph, advise any text required and if suitable overlay smaller images. Please speak with the helpful staff of J.H. Wagner & Sons to discuss your ideas for Laser Etching. 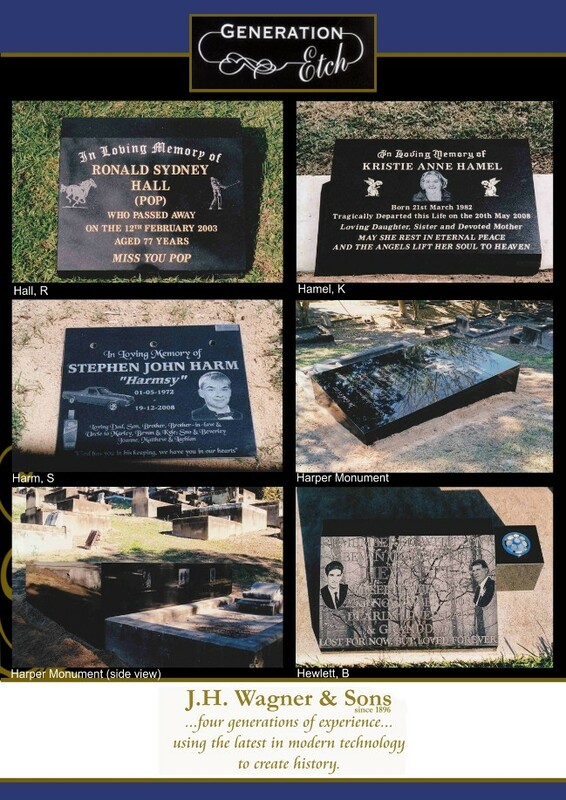 We can supply Black granite with laser etched images and laser etched letters for small size photo discs, lawn plaques, pet memorials, headstones, family monuments, public memorials and commercial artwork.